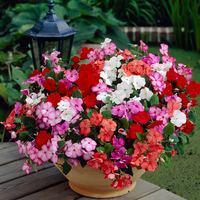 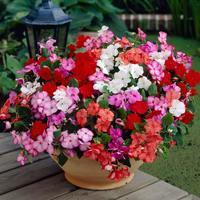 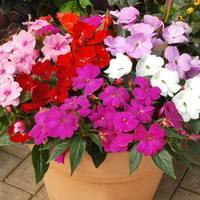 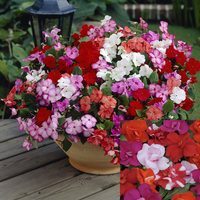 Impatiens flowers, also known as Busy Lizzies, are a vibrant, cheerful annual plant that is particularly useful for brightening up shady areas in the garden with its colourful flowers. 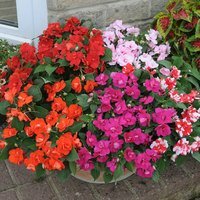 Thriving in partial or full shade, they prefer to be out of full sunlight and if kept well watered will produce a magnificent carpet of colour in your summer beds, borders or rockeries. 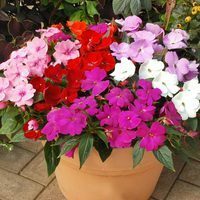 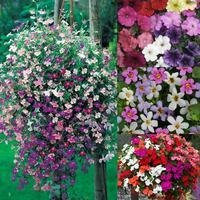 These bedding varieties work best in the ground or in pots and containers where you can fully appreciate their upright, bushy habit.